Huawei's next two handsets are set to be the Mate 20 and Mate 20 Pro, and while leaks have provided a clear idea of what specs to expect we haven't yet seen much on the prices of each handset. But a new leak coming from Android.com.pl in Poland seemingly has Polish prices for both phones. The prices below apparently come from Polish phone carrier Plus. This report claims the Huawei Mate 20 is set to cost PLN 2,999 outright, which if you convert it equals around $800 / £610 / AU$1130. 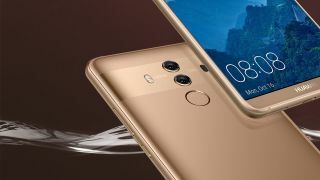 Those prices aren't guaranteed as taxes differ between countries and Huawei often prices its phones differently in certain markets, but it's a ballpark figure of what we can expect. For the Huawei Mate 20 Pro, the phone is set to cost quite a bit more at PLN 4,299. That's around $1150 / £870 / AU$1620, which is a lot of money and is around a similar price to a slightly different leak we saw last week. Pricing is always subject to change until the last minute, so don't take any of these figures as fact. That said, this is the clearest picture we've had so far of how much you'll be sinking on either phone. Huawei is set to announce both phones at an event on October 16 (that's next Tuesday) where we hope to learn everything about the handsets including prices and release date information.